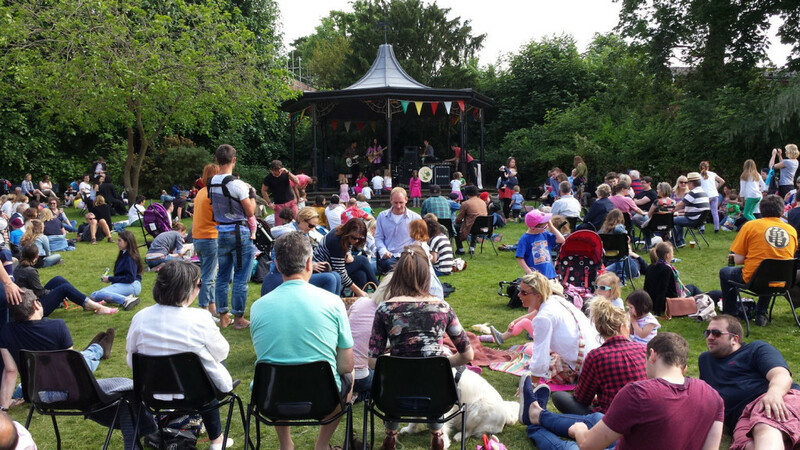 Saffron Walden Arts Trust will be hosting Saffron Walden’s first ever International Music Day, also known as Fête de la Musique, on Sunday 21st of June 2015. Click Here to download the programme. (Please check back for updates, as timings/locations are subject to change). Fête de la Musique is a set of free public music events which takes place each year on midsummer’s day in more than 110 countries and over 400 cities across the world. It was launched in 1982 by the French Ministry for Culture, following the concept of an all-day music celebration originated by the American musician Joel Cohen. Fête de la Musique isn’t about any specific forms of performance, or musical style or setting. It is about an active sharing of different cultures within a community, with an emphasis on participation, and hosted in an open and accessible way. So far in the UK, the day has been celebrated in London and Manchester. 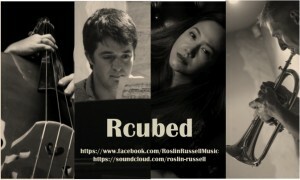 Rcubed is a quintet that offers an engaging kaleidoscopic style and fusion of jazz, blues, soul and hint of funk and features the rich and dynamic voice of Roslin Russell. 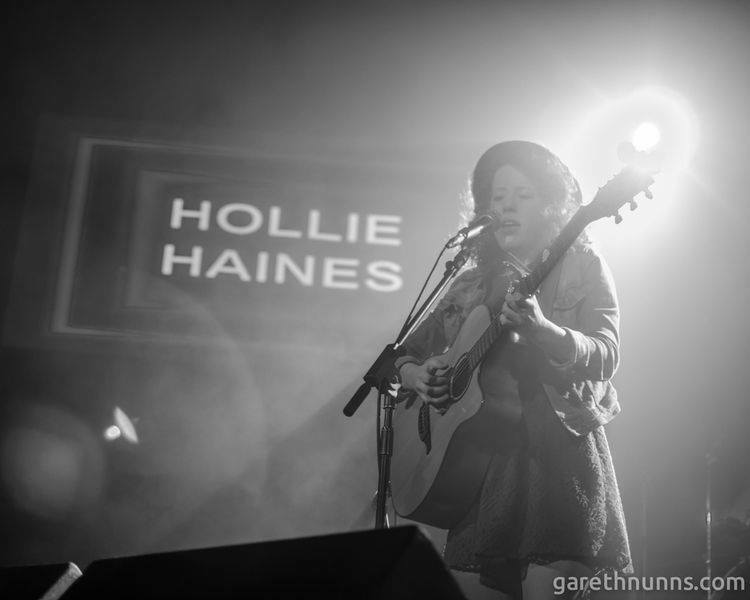 Singing mainly standards but also a few contemporary numbers, her voice has been likened to the late British blues singer Ottilie Patterson and also to Rachel Price from Lake Street Dive. She’s joined by arranger and multi-instrumentalist Dave Burgoyne on keys, Gavin Spence on trumpet/flugel, Ismael Sanchez on double bass and Ian Griffith on drums.Influences include Billie Holiday, Nina Simone, Ella Fitzgerald, Etta Jones, Ray Charles, Miles Davies, Freddie Hubbard, Esbjorn Svensson Trio, Amy Winehouse, Esperanza Spalding, Dianne Reeves, Robert Glasper, Melanie de Biasio and many many more! 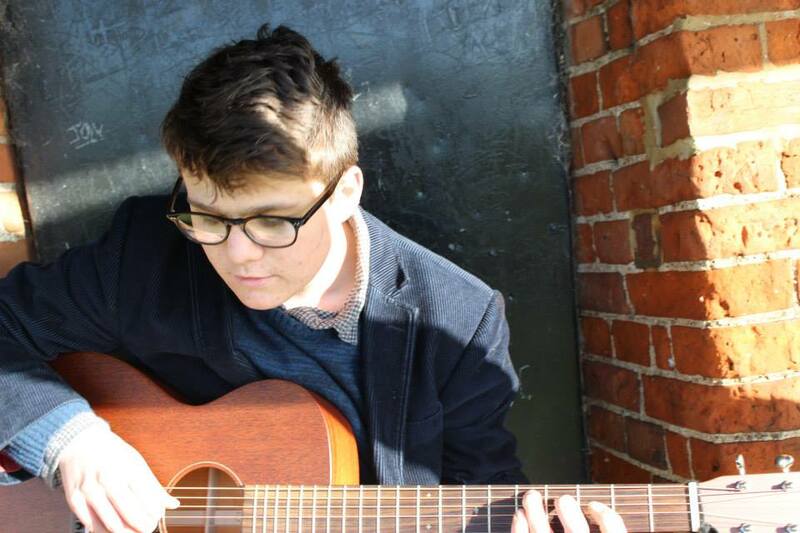 Taking inspiration from melodic songwriters such as Damien Rice, Glen Hansard and Neil Young, Elliot produces his own unique sound, blending creative piano arrangements with instantly recognisable melodies and heartfelt vocals. Elliot set out on his solo voyage in late 2010 and has gone from strength to strength ever since. 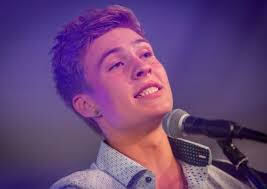 Elliot gigs relentlessly around the UK and elsewhere and has released 2 EP’s and 3 singles including ‘Keep Going’ in February which has received nationwide radio play. Ian Markx, songwriter and journalist: ‘The EP has the flavours of Ray Lamontagne, Paolo Nutini and Mumford & Sons. The mix of bass, acoustic guitar, piano and percussion gives the songs an organic demeanour and authentic edge. The songs are classy folk pop at its finest’. Dale Olivier, Matchbox Records (Speaking about ‘Joanna’): ‘Intensely catchy and very radio friendly’. 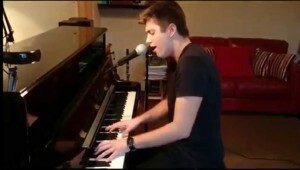 I’m Joe, a 16 year old who loves to play music. I am a punk fan at heart, but my set at the Fête de la Musique shows me stripping down the songs to an acoustic form, for everyone to enjoy. 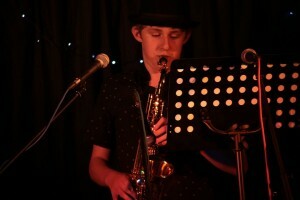 Matthew is 17 years old and a jazz saxophonist. Huguette sings … and Serge Gainsbourg, Edith Piaf, Jacques Brel, Georges Brassens, Barbara, Charles Aznavour, and many others come to life thanks to her interpretation of the most beautiful and haunting French songs of her repertoire. Accompanied on piano by Peter Britton, Huguette sings In her native French tongue. Introducing her songs briefly in English and using expression and body language, she makes her repertoire enjoyable and accessible to all. Huguette has performed in and around Cambridge for more than ten years, mainly at the Mumford Theatre and some of the colleges. She would like the chance to reach out to a wider public in different venues, and introduce it to the richness, variety and universal appeal of the French chansons. I’m Claudia Kate, (16 years old). I have been writing songs and playing guitar for 3 years, as well as piano for 10. 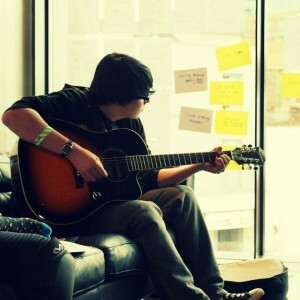 Song writing is my passion, as well as performing music to others. I have been gigging around the local area for a year now, as well as busking and selling albums. 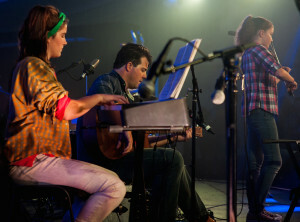 My most recent gig was at The Junction in Cambridge, where I hope to play again in the future. I am influenced by artists such as: John Lennon, Birdy, Kelly Clarkson and Freddie Mercury. 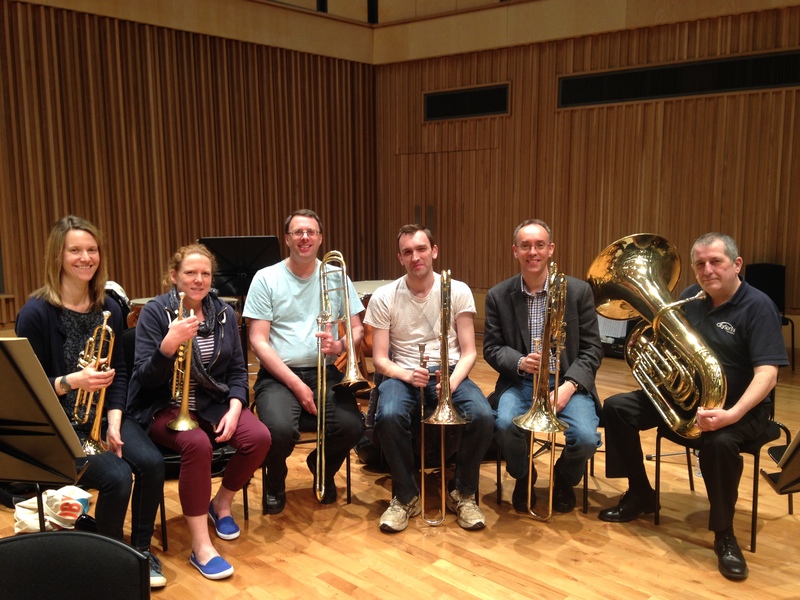 St Mary’s Brass started in 1986 with just 3 players, since when membership has typically been in the mid-teens. 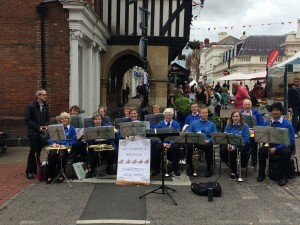 The band rehearses weekly during term time and performs at various services and events at St Mary’s church, and in and around Saffron Walden, playing a wide variety of brass arrangements of popular and classical music, both sacred and secular. I am Isla Grace Osborne and am nine years old. I am thrilled to be participating in this musical event. I have been playing the guitar for one and a half years and would like to say how good and helpful my teacher, Paul Wood, has been. I have a classical guitar and will be getting an acoustic one shortly. I enjoy lots of different music including pop and rock. 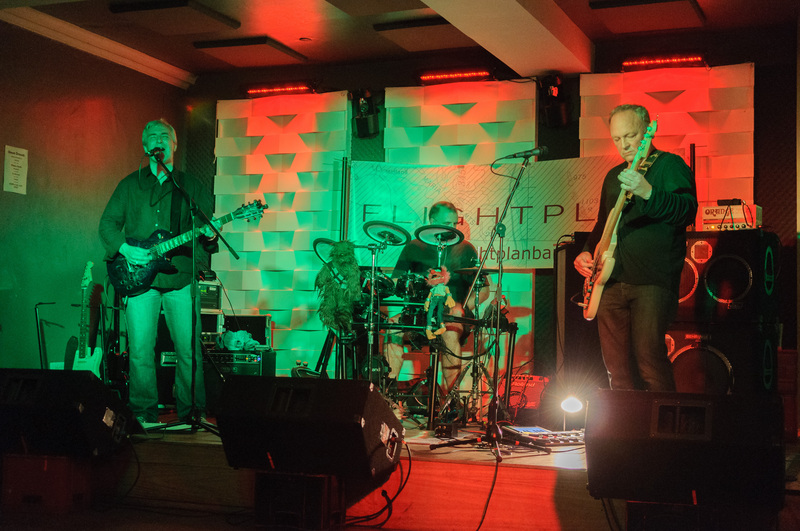 FLIGHTPLAN is a three-piece progressive rock trio based in Cambridgeshire. Influenced by legendary acts such as Pink Floyd, Marillion and Rush, they blend high-class musicianship and intelligent songwriting, producing songs to move and inspire! Expect an epic set of classic progressive rock songs and FLIGHTPLAN’s own killer tracks! 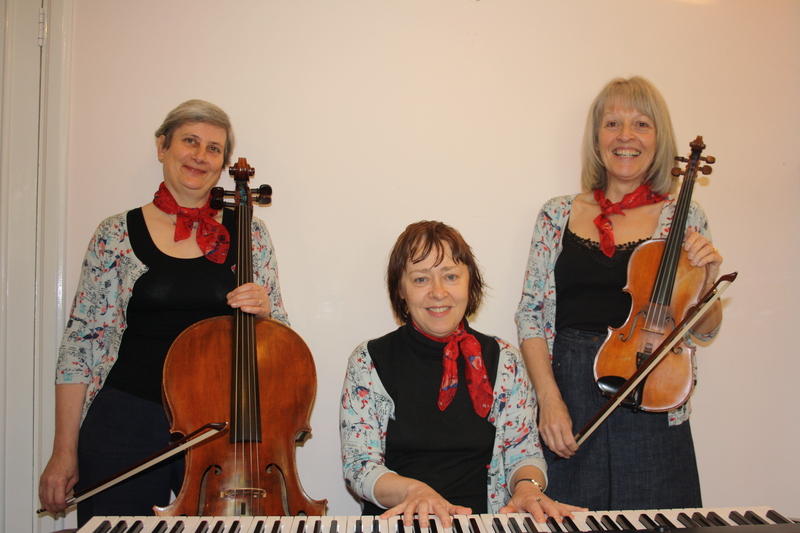 The Nightingale Trio (Janet McCallum, Isabella Warren and Gail Ford) are a versatile trio of violin, cello and piano, playing a wide repertoire of different styles of music from light classical to jazz, Latin American, and folk. Tom Roddis is a 13 yr old singer songwriter and already a familiar face on the Cambridge music scene. Ed Sheeran, Sam Smith & Passenger are some of Tom’s musical influences although his sound is very much his own. Tom writes songs about his experiences and ‘No Apology’ made the much coveted 2014 Christmas No 1 spot in the Cambridge 105/NMG Unsigned Chart. 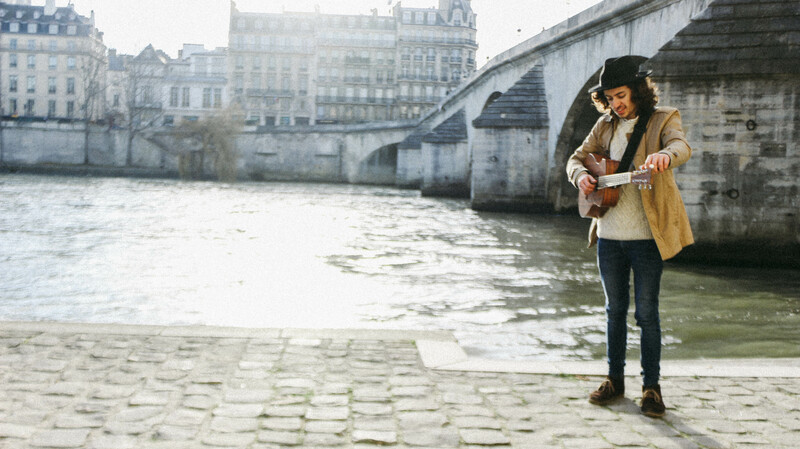 Since winning the Cambridge Busking Festival in 2013 Tom has performed at all the City’s main music venues including The Junction, Corn Exchange and Portland Arms and major music events such as The Big Weekend, Cambridge and Strawberry Fair. We are a group of adult players who like to play in an ensemble, the music is selected to keep everyone going and interested. We meet in Keddington approximately eight times a year. We play the whole flute family from piccolo to contra bass. We play a wide range of music, from Queen to Mozart. We have been going since 2006. Ted Jevans is a young, English singer-songwriter. 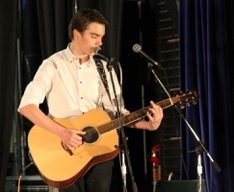 As well as guitar, he plays harmonica, Mandolin and piano. His own original material is influenced by his love of folk, rock and blues, which he combines with covers. Ted’s unique voice makes allows him to perform his original material and place his own interpretation on covers during live performances. 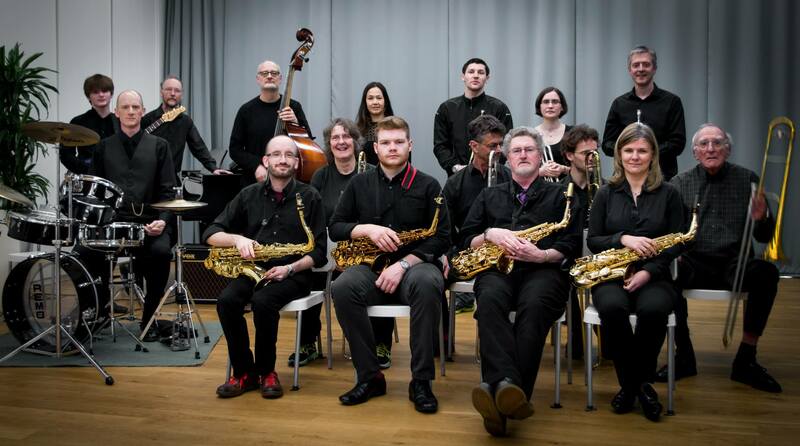 Malcolm Talbot’s Big Brass is dedicated to keeping big band jazz alive and kicking, and having lots of fun in the process! 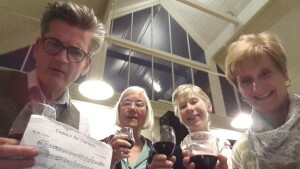 Under the ebullient leadership of Malcolm Talbot, and affiliated to CAMS Music Trust, we are a spirited community group of different ages and musical backgrounds, and our emphasis is on encouraging people to just join in and play. I am Ben Winfield and have been playing music for 13 years. I started out playing classical music, first on the ‘cello then later on the piano as well. I started playing guitar at age 11 after hearing Bryan Adams’ “Summer of ’69”. Since September I have been working on an original album of rock songs based on the Hunger Games franchise. I have written 9 songs out of 13(ish – hopefully) which I shall then record and produce myself. I hope to release this online by the end of July. 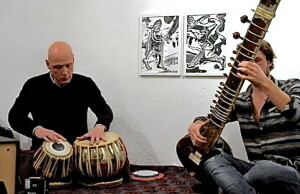 Pete Yelding and Stewart Fenwick perform together regularly, playing Indian Classical music on sitar and tabla. Stewart initially started learning tabla at Dartington College with Pandit Sharda Sahai and later attended group lessons with Ustad Zakir Hussain in Berklee, San Francisco. Since 2000 he has studied with Ustad Faiyaz Khan of the Delhi Gharana. 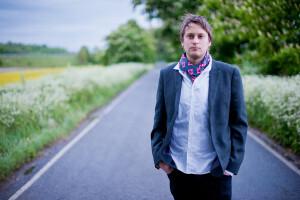 Pete is a composer and performer currently based in London. His work centres around experimental music, songwriting and free improvisation. As a performer he most often uses: Cello, sitar, voice, guitar, didgeridoo, toys, found sounds and electronics. Also: story telling, speech and physical movement. His pieces range from solo performances to large ensemble works and interdisciplinary collaborations. He studied Composition principally under Michael Wolters and Howard Skempton at Birmingham Conservatoire. He studies Raga Sangeet on sitar under Clem Alford. 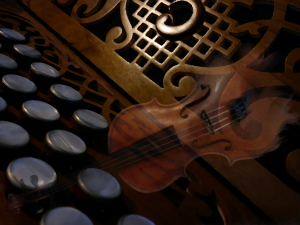 Traditional & contemporary European & Scandinavian music. Dance and listen to spellbinding waltzes to dynamic scottisches and rocking jigs, on diatonic accordion, fiddle and clarinet. Two piece band, brothers from Henham,Stortford. 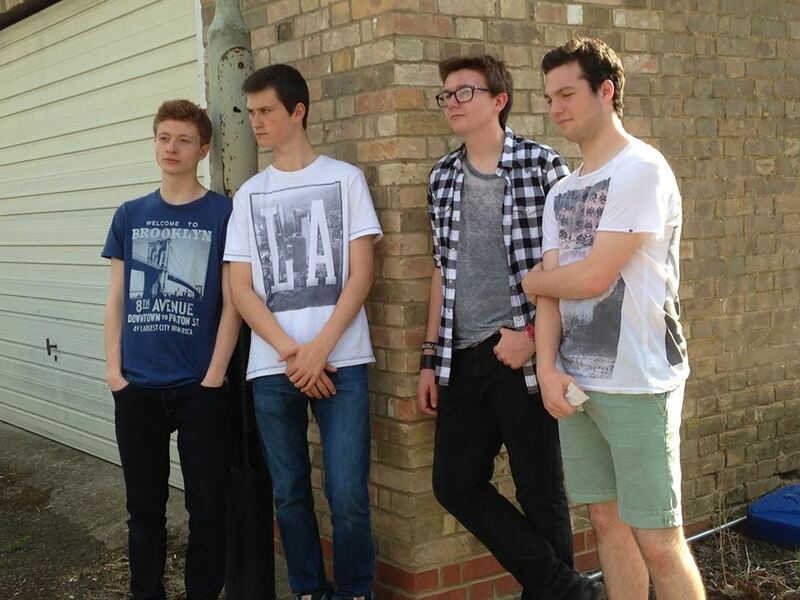 Make up half of ‘the straps’ and opened cazfest last year and also won two awards at ‘Rhodes talent search 2014’. Play various genres of music, including rock/pop and alternative. 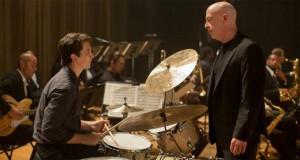 Both have been into music from a young age, and have been playing for 7 years now. 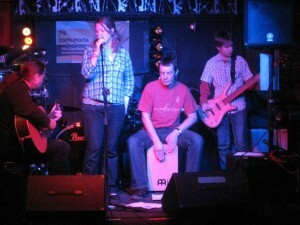 Younger brother (Albert) on vocals and guitar, and George (the other one) on the cajon. 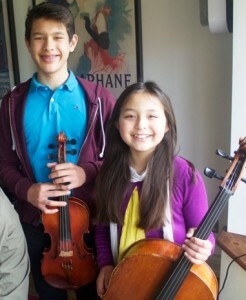 Joshua was born in 1999 and started playing violin when he was eightyears old. A music scholar at the Perse Upper School in Cambridge he also attends The Guildhall School of Music where he studies violin with Sebastian Muller and Composition with the acclaimed composer Jeffery Wilson. Apart from performing solo he is also a member of the Harmer Piano Trio who were finalists in the National Pro-Corda Chamber Music Festival. As well as music he enjoys cycling, swimming and photography. Adelaide was born in 2005 and started playing cello when she was fiveyears old. 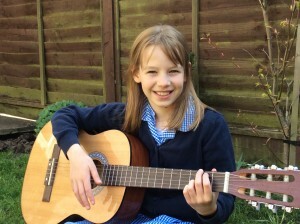 She has won first prize in the 12 and under category of the Cambridge Music Festival and the HarlowYoung Musician of the Year Competition in 2012 and 2013. 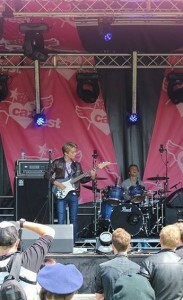 In 2012 shecame first in the 12 and under category of the Saffron Walden Music Competition. She enjoys singing, dance and playing piano as well as cross-countryrunning. Adelaide has been a member of The National Children’sOrchestra for the last three years for which she has been awarded a full scholarship by the Leverhulme Trust. In 2010 he was accepted at The Guildhall School of Music where he studied for one year until September 2011 when he was awarded a scholarship to study piano at The Purcell. 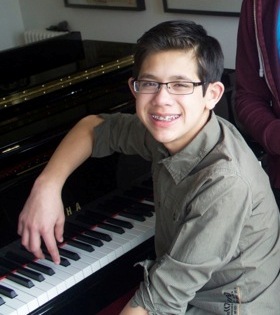 He now attends The Perse School in Cambridge and studies piano with the internationally acclaimed pianist, Mr. William Fong, who is Head of Keyboard at The Purcell School for Young Musicians and a professor at The Royal Academy of Music. George was invited to make his first one hour long, solo recital at the age of nine and since then has performed in numerous locations both in the UK and Europe, including Wigmore Hall and two performances at The Royal Festival Hall, one of which was with Lang Lang. He has won many awards both in the UK and internationally. 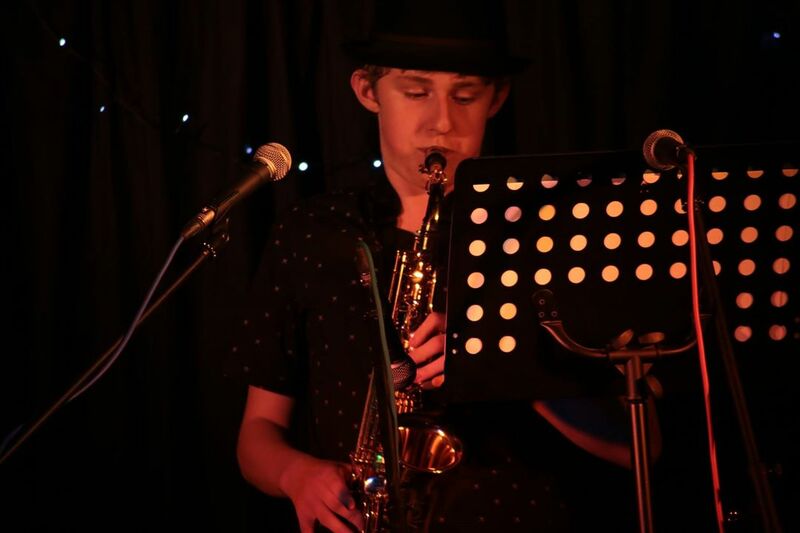 At the age of eleven he achieved a distinction at Diploma in Music Performance (ABRSM) and has recently completed his first solo recording at The South Bank. So far this year he has been asked to perform in London, Munich, Xiamen (China) and Miami. He is currently a music scholar at The Royal Academy of Music in London. 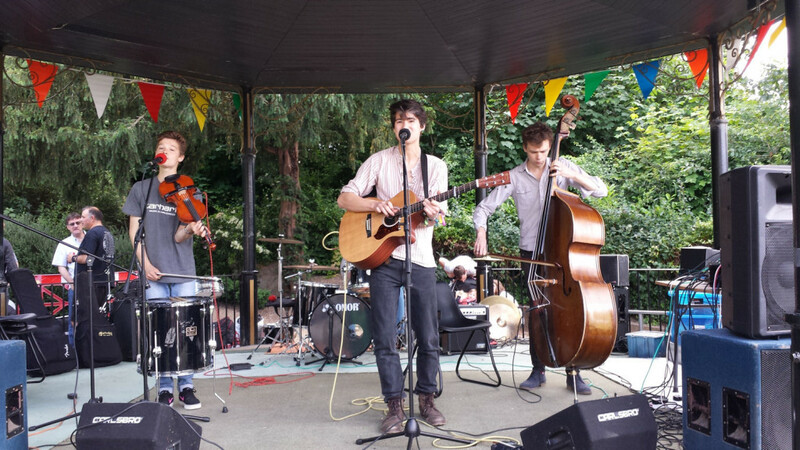 Mortal Tides are a young indie folk band making waves locally and in London. They’re recording a full length CD of acoustic sessions this summer with Independent Folk label Wild Sound Recordings (renowned member of the folkocracy Polly Paulusma’s label, which boasts a finalist in this years BBC Folk awards amongst its stable of up and coming musicians). Brothers Noah (guitar, vocals) and Jed Bevington (violin, vocals, piano) have been playing alongside George Brignal (drums) since they were at Great Chesterford primary school together, so although still young, they’ve a decade of playing together under their belts already. They were joined two years ago by double bassist, Fergus Quill and last year won the best under 19yr band for the Eastern region by the unanimous verdict of the NMG Awards panel in Cambridge. They write all their own material – haunting fraternal harmonies winding around intricate acoustic guitar and fiddle – songs of immense sadness and tenderness that erupt joyously with the complex rhythms that George and Fergus drive from behind. 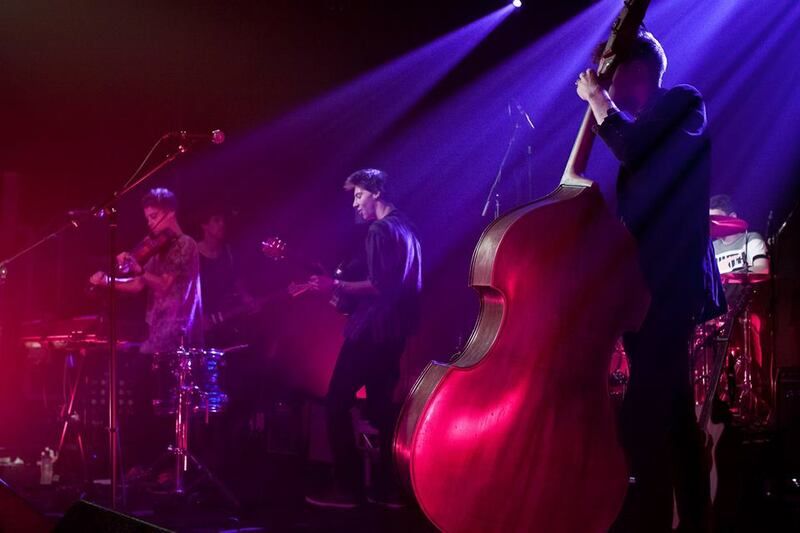 This summer, besides recording, they have a clutch of great festival appearances booked including Secret Garden Party, Blissfields and a return to Folk East in Suffolk where this year they are elevated to the main stage alongside some true folk gods. Don’t miss ’em! We are four members from a group of eight who meet informally to enjoy playing music composed or arranged for recorders. 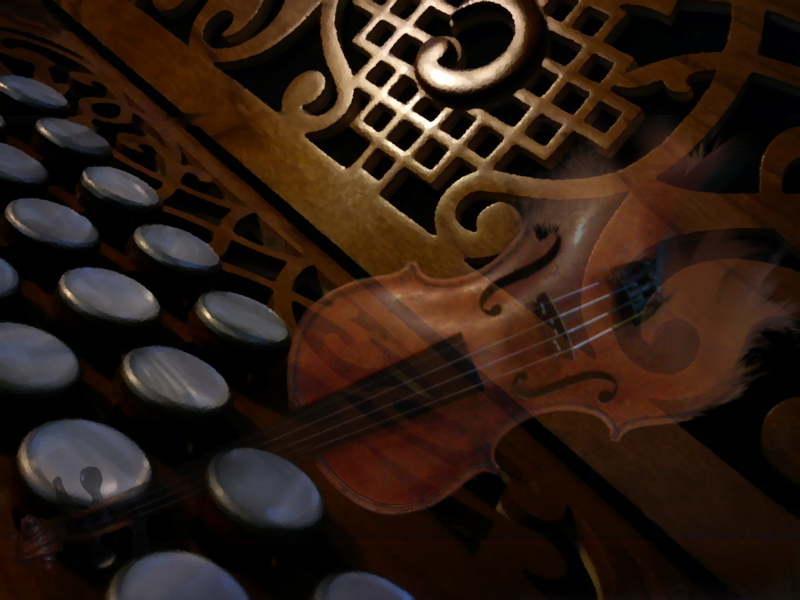 Our repertoire embraces a wide range of music, from Renaissance and Baroque to pieces from the 20th and 21st centuries. Our group all come from the Saffron Walden area and mostly we play simply for pleasure but occasionally perform at local events such as church flower festivals. Between us, we play the full range of recorders and will use bass, tenor, treble and descant recorders in the selection of short pieces for Fete de la Musique. 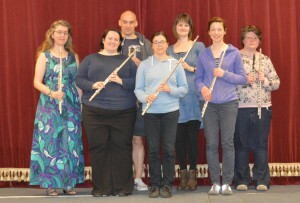 The Woodwind of Dunmow music group was formed in 2008 and currently has 14 members. The instruments include clarinets, flutes, piccolos, saxophones, a recorder and an oboe. The music ranges through classical, folk, swing, ballads, rag-time, wartime songs, and Christmas carols. 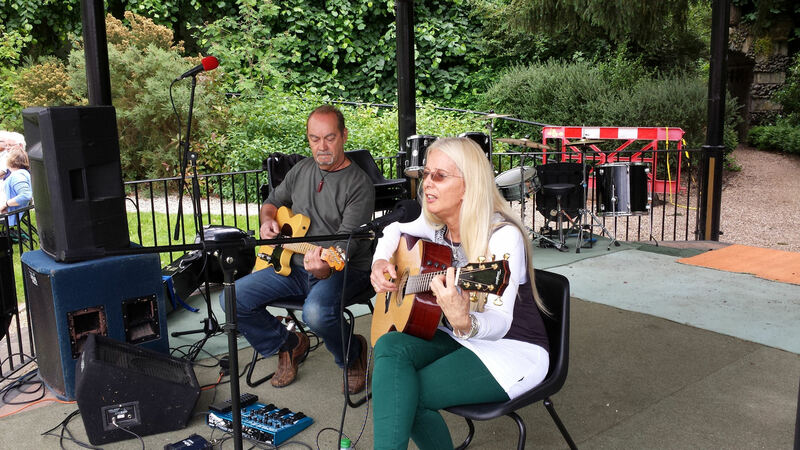 The group provides entertainment for residents of local care homes and community groups and also supports charities and community projects in fund raising events. 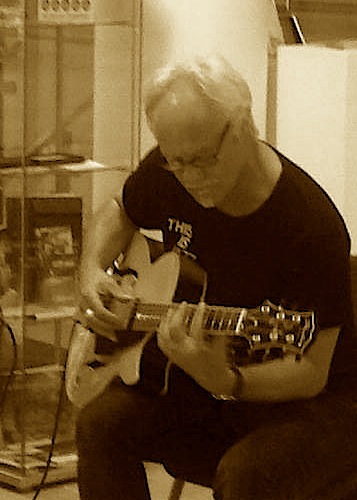 Tony White is a guitarist who has played in a variety of bands over the years, from blues and rock to jazz. Tony will be playing solo instrumental jazz-based guitar, supported by Pete Hill on upright bass. Stephanie is a clarinettist who took up the harp in a Grade-One-A-Thon challenge in 2011. 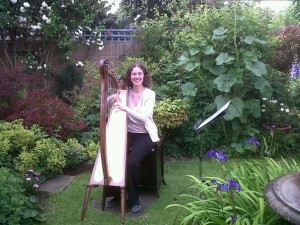 After passing the exam she continued learning and plays a wide range of music on her Celtic harp for family and friends as well as outdoor events. Her professional life is as a clarinet teacher and woodwind coach, and she has worked with the Saffron Walden Children’s orchestra. 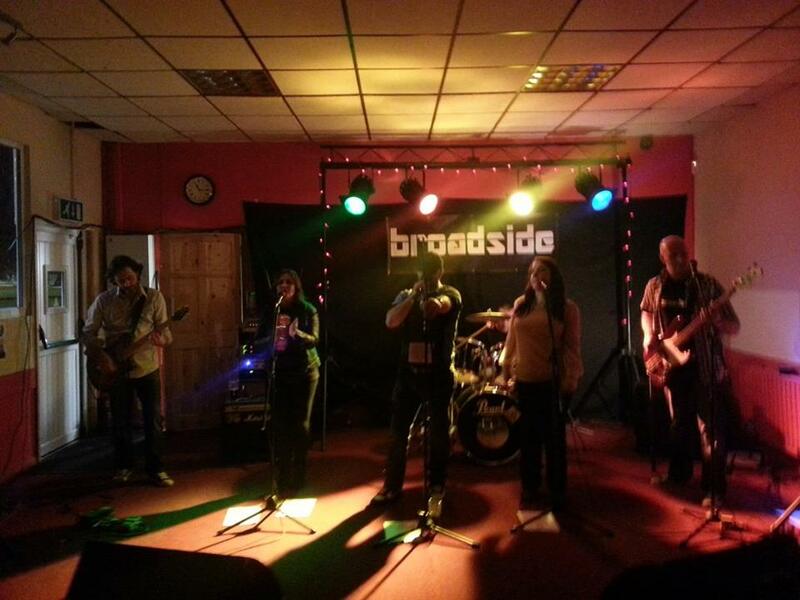 Parkside are a 4 piece alternative rock band from Hertfordshire. We having been together for 6 years, however only making original music for just over a year and a half. We have played in several venues in London as well such as the Cargo in Shoreditch and Alleycat in Soho. 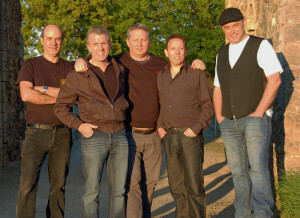 The Hooligans are a family-band from Saffron Walden, specialising in traditional Irish music, bluegrass and klezmer. The band features 12-year-old Maeve Halligan on fiddle, her 14-year old sister Ailis on piano and Liam Halligan, their Dad, on guitar. Having played at the Saffron Walden Carnival, Bell Bash, Thriplow Daffodils, Cambridge Busking Festival and numerous other local gigs, The Hooligans “have been taking the area by storm over the last 12 months”, according to the Saffron Walden Reporter. Their combination of reels, jig, hornpipes and well-known ballads and airs is guaranteed to get your foot-tapping and make you smile. 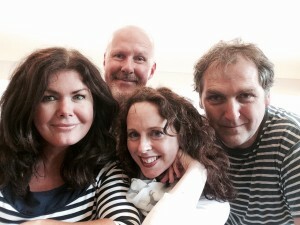 Joanna Eden’s Thursday Night Singers are a group of local music lovers with a common ethos:- Everybody can sing! 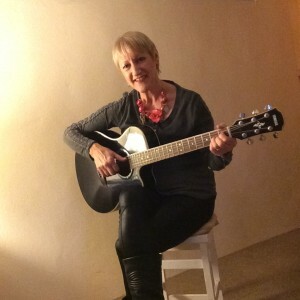 They meet each week to share solo and group songs with Joanna’s encouragement and expertise. 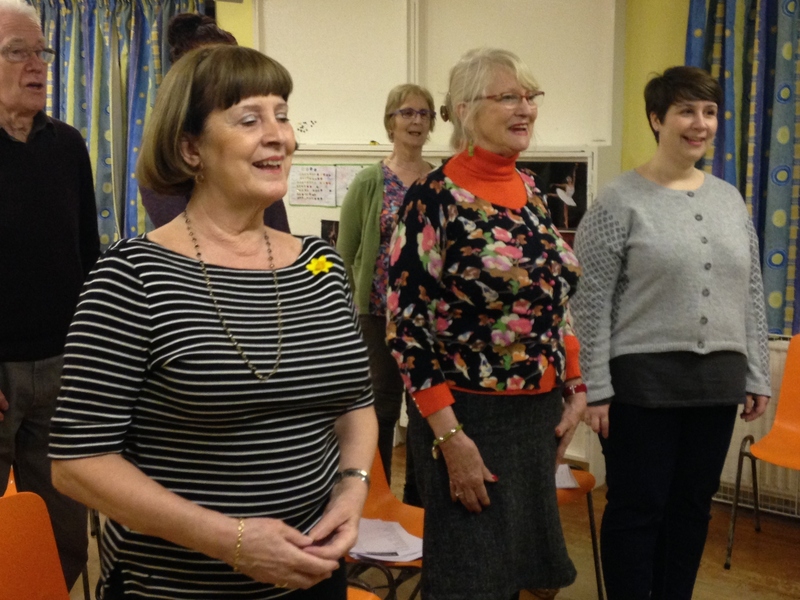 Members share a common love of singing but have previously lacked the confidence and a safe place to develop their voice and individual style! New members are always welcome! Saffron Walden based Joanna Eden is a singer/songwriter who’s performing career has taken her all over the world. 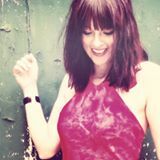 She has performed at 3 Audley End Picnic Concerts, the Royal Albert Hall Jazz Lates Series and Ronnie Scott’s Jazzclub and is proud to play in Saffron Walden regularly; her next concert is 26 June. She is also a teacher; her most famous student being Sam Smith whom she taught for 9 years. 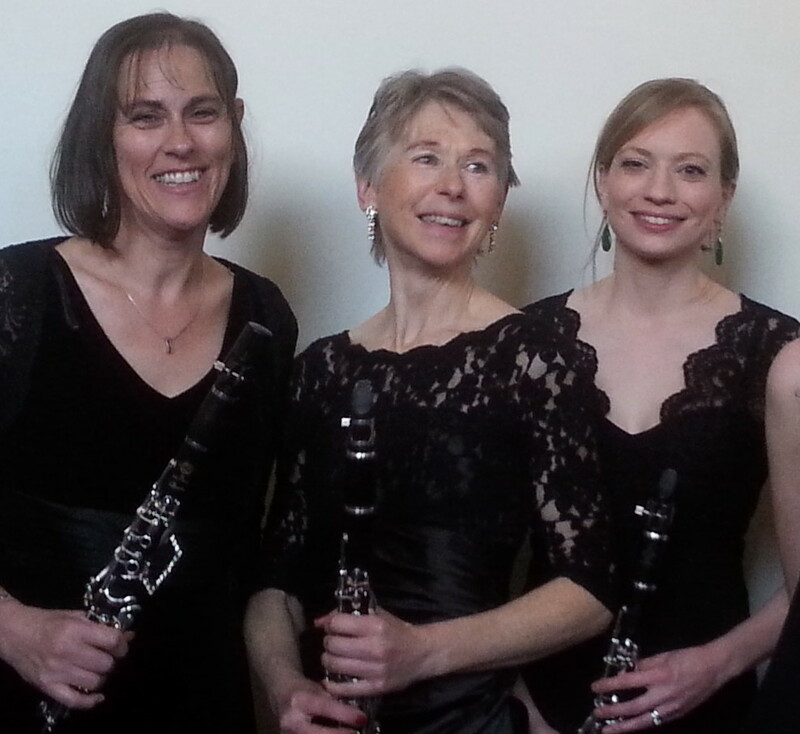 Mary Evans (Flute), Sheila Wardle (Clarinet), Anne Brooks (Piano). Sheila has known both Anne and Mary for many years. She first met Anne when Bishop’s Stortford Musical Association choir and orchestra began rehearsing at Hockerill College (now Hockerill School) where Anne was a student. Over a number of years they also played for shows and operettas in Stortford and Dunmow until Anne’s job as a music teacher took her to Norfolk during the week and they lost touch. Meanwhile Sheila and Mary both played for Harlow Symphony Orchestra as well as shows in Stortford, Dunmow and Harlow. 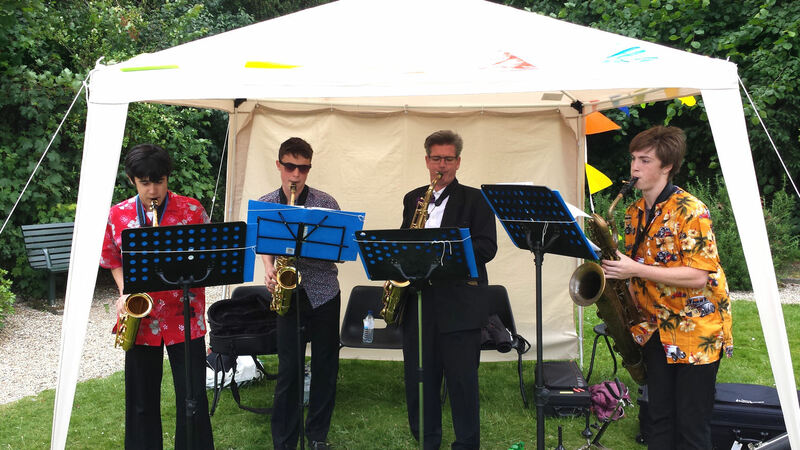 When Mary became head of Henry Moore School in Church Langley she had to give up playing for week-long shows but they both still play with Harlow Symphony Orchestra. In the early 1990s a mutual friend formed a group of singers for a fund raising concert and asked Mary and Sheila to provide instrumental solos and duets for the concert. 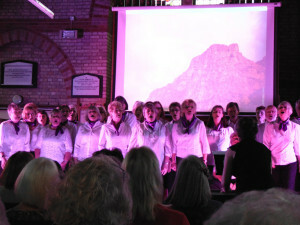 This “one-off” concert became MisSELLany with a ten year long run of fund raising concerts for a variety of charities. Some of the members continued to put on concerts to raise money for good causes and although the number of singers varies Mary and Sheila still join a group of their friends for at least one concert a year. After a long association with church music around the area, three years ago Anne became Director of Music at St. John’s Church in Stanted which happened to be where Sheila had recently moved. They recognised each other at a carol service and Sheila now sings with the choir! Anne stepped in as pianist for last autumn’s fund raising concert so she and Mary finally met. 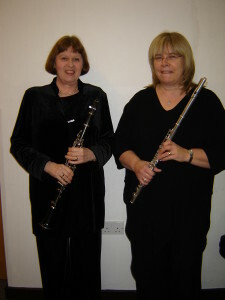 Mary and Sheila have accumulated quite a lot of music over the years for flute, clarinet and piano, most of which has been arranged by (and one or two pieces composed by) Sheila’s husband, Roger. They usually perform two or three of these at each concert but this local contribution to World Music Day seemed like a good occasion to play a longer series of the pieces which are best described as light classics, many of which will be familiar melodies to those listening. 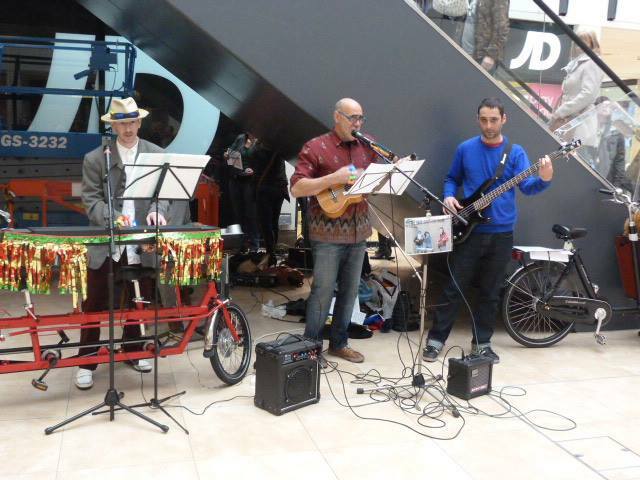 The Reavey Brothers Band will be finishing off the day in the market square with a lively foot tapping set. The brothers, Dan and Tom Reavey are local professional musicians who have been in the music business for well over 25 years. Their music careers have taken them to places such as New York, The Caribbean, Bahamas , Africa and Monte Carlo. Tom (drums) and Dan (keyboards) have put together an epic band for the event . They will be joined on stage by Dan Boutwood (Guitar) and Jim Free (Sax / vocals) who they’ve known for many years and who both live in the town. Also on stage will be …. Tom’s daughter Charlotte will also be performing . She has just returned from a 7 month tour of Italy with the musical Fame. Expect a great mix of Soul, Funk, Disco, Boogie Woogie, Ska and everything in between. We are Room C and we are disciples of the funky funky sound, we move, we groove, we slime, we grime, we thump, we jump, we will make your soul quake and your brains awake to the rock and rolling pyscho funk. Freaky. 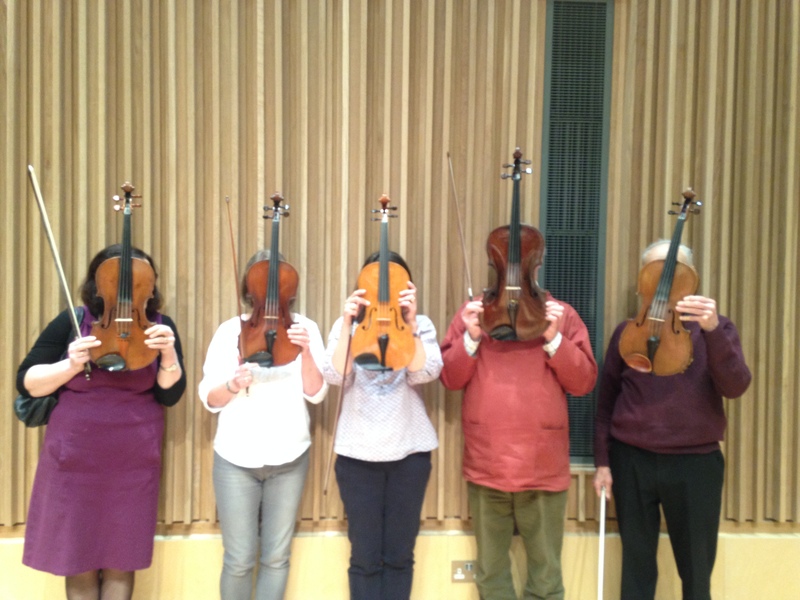 We are all friends who’ve met through playing in various orchestras including Saffron Walden Symphony orchestra . 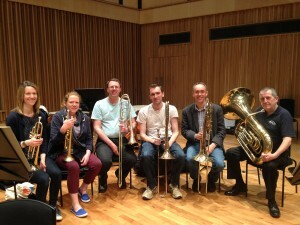 We are a standard ten piece brass ensemble: four trumpets: one French Horn; four trombones; and one tuba. This is a one off for us (or the first of many?) and we’ve put the group together for this occasion. We thought it’d be fun! The music we’ll be playing will be a mixture of classical, and light popular brass music. Original and arrangements. 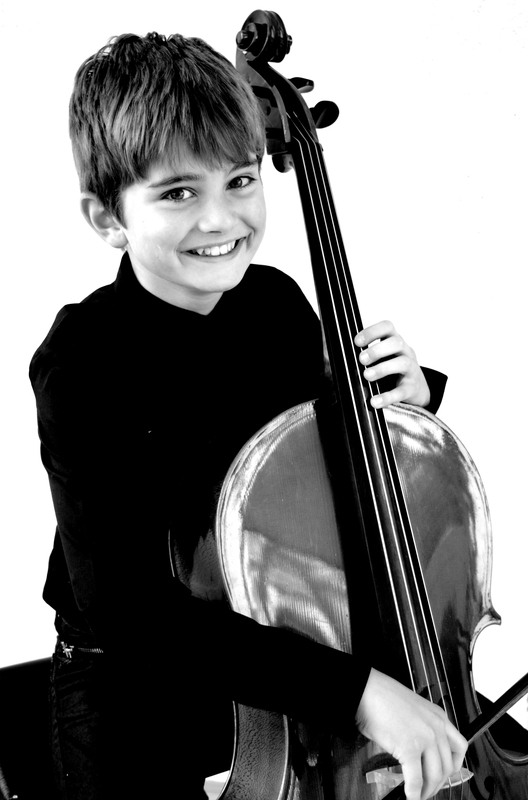 Will Roddis is 10 and started playing the cello two and a half years ago. He is taught by Charles Ellis, ARAM and is looking forward to taking his Grade 6 exam in July this year. 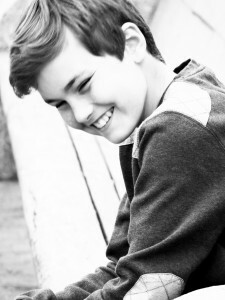 Will loves all types of performance and attends Emil Dale’s School of Performing Arts Weekend School, Cambridge. 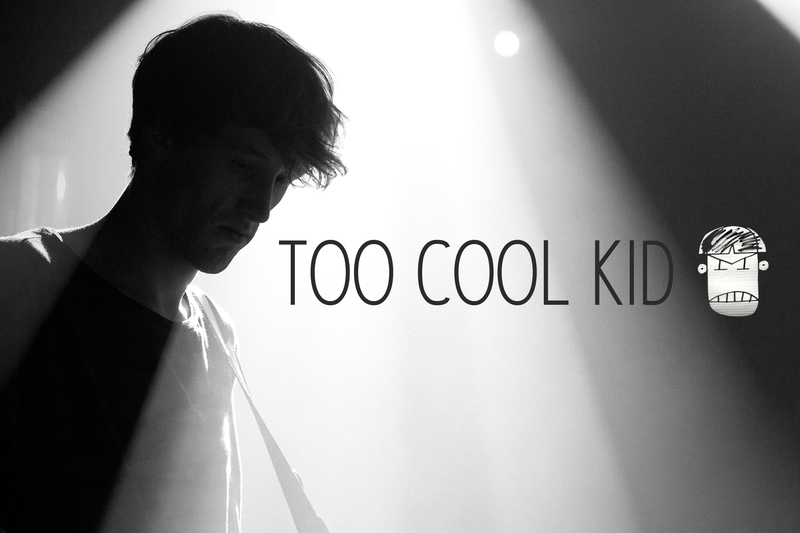 Too Cool Kid is the musical project of 18 year old guitarist and singer Jay Plent. Having released 2 EPs and a string of other tracks, Too Cool Kid catchy melodies with quirky lyrics and modern arrangements. Their new EP, Epidemic, is available for free download via their Facebook page, and their music has been described as “Fantastic” and “A head above other(s)” by various online music blogs. 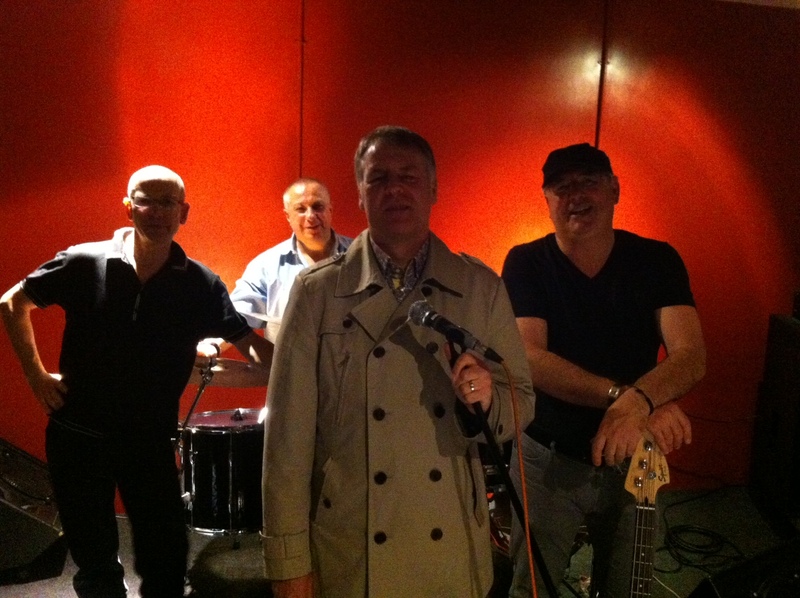 Born out of late seventies London and citing The Velvet Underground and The Who as key influences No Exit’s self penned numbers blend US garage rock with a British beat. Born on an Adnams fuelled birthday drink at the aptly named Olde English Gentleman, Broadside founders Martin Coxall and Steve Elve recruited Lee Dorrington and Julian Reader to spread their brand of Rock with Soul throughout the Greater Saffron Walden metropolis. Realising that Julian’s soulful bottom needed some balanced top, Ali Quattro and Kellie Dorrington soon joined the ranks. 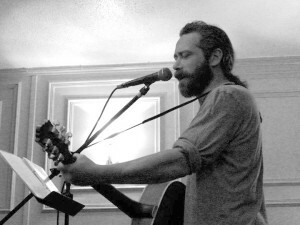 Rob Groves, a sometime professional singer/songwriter/drifter of the north M11 area, settled in recent years to Saffron Walden to raise his three children. Late nights have made way for early mornings, but Rob can still be found plying his trade in country-folk, blues and roots rock when the moon is right. A long-time guilty member of notorious Cambridge stage-wreckers Mystery train, Rob is inspired particularly by the likes of Bob Dylan, Johnny Cash, Steve Earle and ol’ Hank. I started playing piano and singing at a young age and since then have worked through grades and now enjoy playing a variety of covers from bands such as Muse to Hudson Taylor. I began uploading some of these covers on to Youtube in January and hope to continue this and begin developing my own songs over summer! Ekaterina Rahr-Bohr (violin) and Lisa Lukavsky (double bass), both aged 14, are Music Scholars in Year 9 at the Perse Upper, Cambridge’s oldest secondary school. 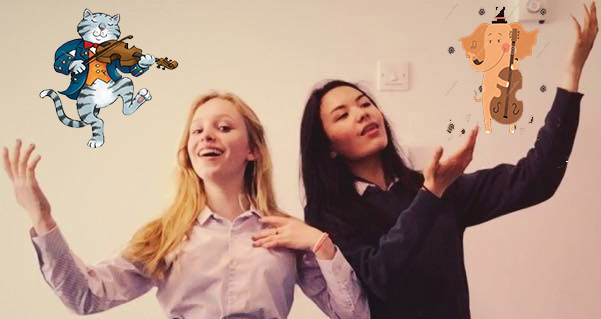 Both girls passed their Grade 8 ABRSM music exams on their respective instruments with “Distinction” in November 2014. Founded for La Fête de la Musique, The Foreign Fiddlers will play abridged versions of Massenet, Monti, Saint Saens and Beethoven. Although England is their homeland, the combined heritage of The Foreign Fiddlers is Japanese, Russian, Austrian, German and American. 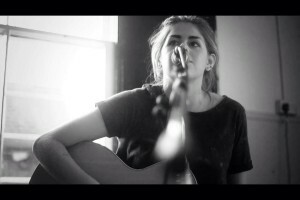 Cara Winter, a singer/songwriter from Saffron Walden. Her debut album ‘Butterfly’, recorded at 18 years old, was greatly received, with the title track ‘Butterfly’ being picked as a favorite by judges of a BBC Singer/Songwriter competition. 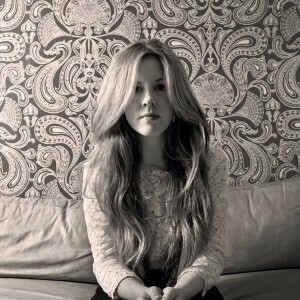 PRS Magazine also hailed Cara Winter ‘An artist to watch out for!’. Cara’s most recent release, ‘Do You Have A Heart?’, is a collaborative album with cellist and string arranger, Nick Cooper. Songs ‘Butterfly’ and ‘She’ll Go’ were featured on Tom Robinson’s BBC Radio 6 Mixtape and Ollie Winiberg’s BBC Introducing. Live, Cara weaves an intimate web around her audience skillfully weighting the pure musicality of performance with a natural and honest audience rapport. ‘Butterfly’ and ‘Peter and the Whale’ and ‘Do You Have A Heart?’ are available on iTunes and via CD through her website. Clarinetti Cantabile comprises of three clarinettists; Fiona Harrison, Louise Turner and Claire Wood We are members of the Cambridge Wind Band which started 3 years ago. 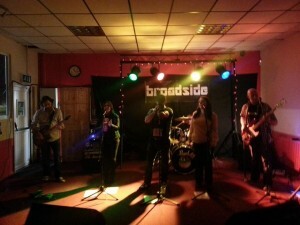 We have played in numerous venues in Cambridge and have recently performed at the West Road Concert Hall. This will be the first time that we have performed in public as a trio. We will be playing some classical pieces by Mozart and Triebensee and Two Scottish Medleys. Come and join us at The Cross Keys Hotel from 12.40 pm. 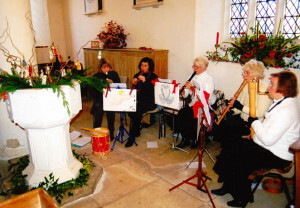 The Mawson Rd Community Orchestra in Cambridge was formed by ‘Classic Busker’ Michael Copley to play in the Jubilee in 2012 – in Mawson Road – Michael’s home street. Such was the success of the initial concert (filmed by the BBC) and the fun that everyone had doing it, the group stayed together and have since grown to over 30-strong. The orchestra plays many kinds of music – a lot of Balkan, but also Baroque, Renaissance, Brazilian, Romanian, Peruvian – all in its own inimitable style. The orchestra consists of children and adults who play, amongst others, all the string instruments, Trumpet, Percussion, Accordion, Melodica, Clarinets, Bassoon, Double Bass, Ukulele, Flutes, Auto Harp, and Guitar. 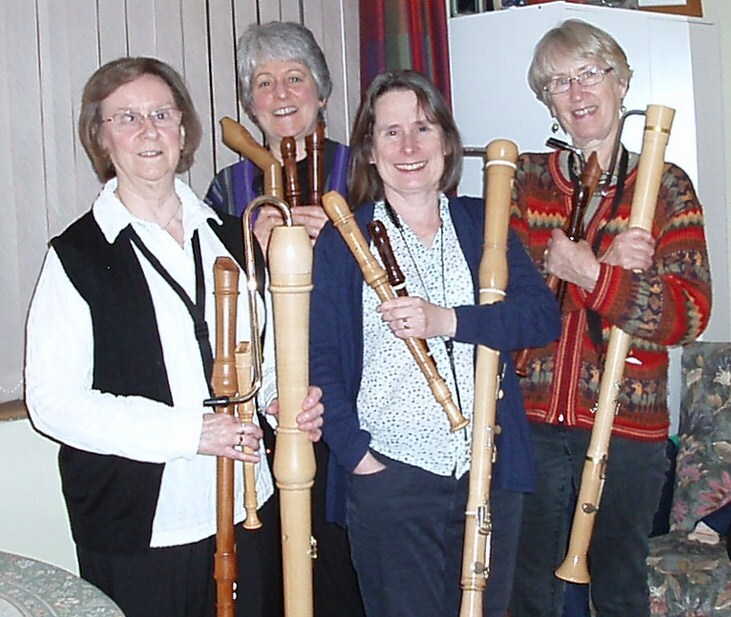 We are called the Quendon Recorder Consort and we play music that is suited to the recorder from the 13th to the 18th century. We are from various places in Essex and Cambridgeshire. We are currently eight in number for the music festival but we can summon up to twenty people. We have been playing together for six years mainly at my house but we have performed publicly at least five times. 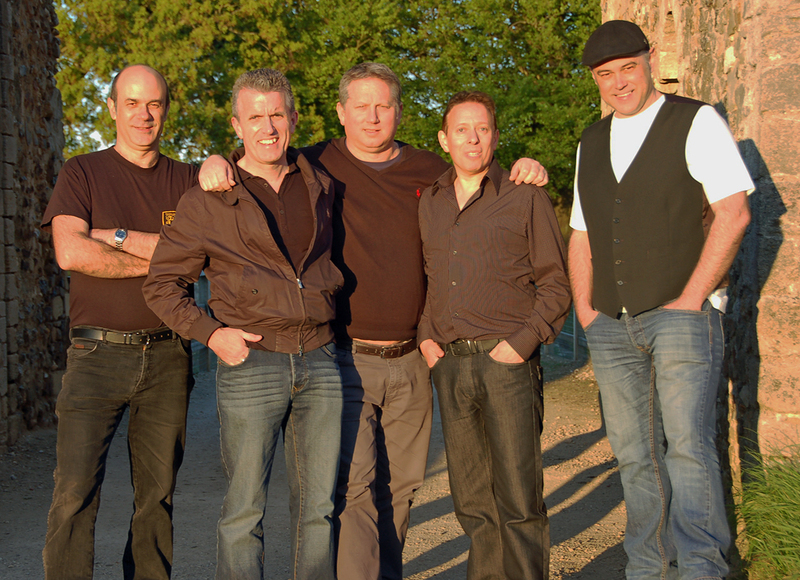 Sadly Ian died in 2014 and has been replaced by Michael Nathan on drums and percussion. We are usually joined by John Herring on Harmonica and often have other guest players . 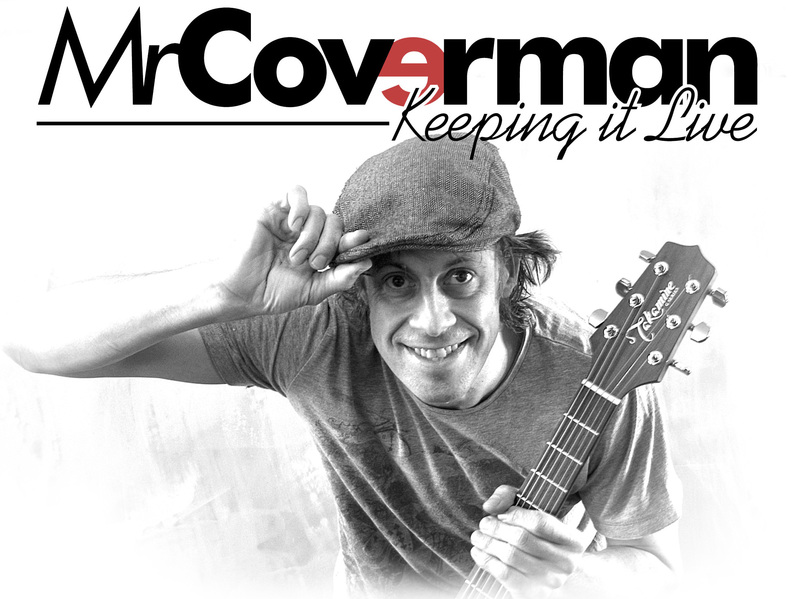 Acoustic guitarist and singer performing cover versions of old tunes, recent tunes, cool tunes, cheesy tunes and sing along songs, with an occasional kazoo in the mix! Mr Coverman is not in any way associated or affiliated with the 90’s rap artist Shabba Ranks (Mr Loverman) any similarities are unintended and purely coincidental. Driving Sideways Rhythm and Blues Band are a band with great passion, energy and will not be disappointed. 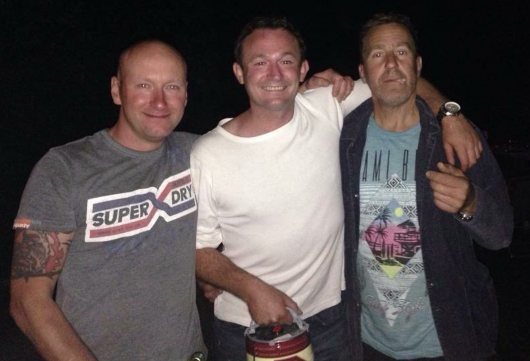 Driving Sideways have been together, since July 2014 and going are from Strength to Strength. Driving Sideways have a combined playing time of 80 years – Makes us sound really old now… – Ha Ha. Driving Sideways focus all their energy on producing amazing sounds and cover the songs they do, with immense originality with have their own twist on the songs they cover. 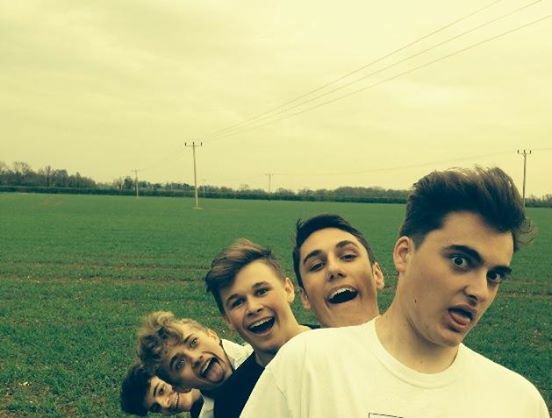 You are in for a treat on Sunday 21st June..
A Few Too Many are a pop/punk band based on the rural outskirts of Saffron Walden. 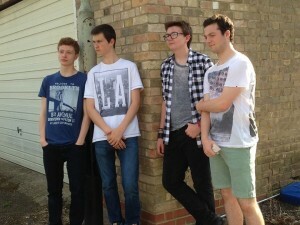 Founded in 2009 during The Croft’s ‘Youth Music’ project by rhythm guitarist/vocalist/writer Danny Freeman, lead vocalist Michael Achilles and drummer/vocalist Sam Howell the band have played at numerous venues across Cambridge and Essex over the years, as well as releasing two EPs, three singles and one music video to date. Their recently released singles ‘Potential’ and ‘I Always Knew’ both received local airplay with both being featured on Cambridge 105FM’s New Music Generator show and BBC Introducing Cambridgeshire, and I Always Knew having recently gone on to receive international airplay via London based show Amazing Radio. 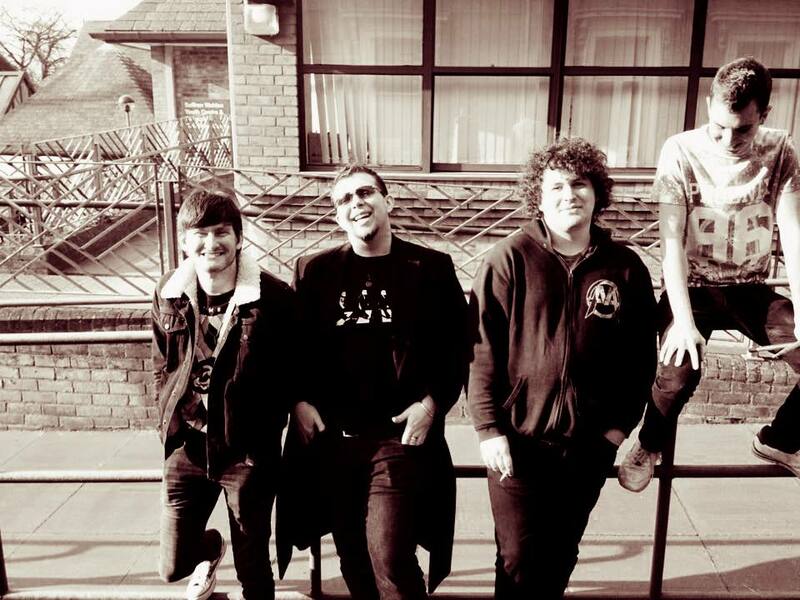 Citing influences such as Green Day, Bowling For Soup and Sum 41, A Few Too Many blend energetic and fun showmanship with catchy hooks and memorable vocal melodies in their music. Dave Vant was last years winner of Saffron Waldens got Carnival Talent and has recently been gigging alongside James Ford. Dave’s influences are Ed Sheeran, Passenger, however he is also known for his own song writing and performs these at his gigs. Honeywitch are an alternative folk band playing originals based on folklore, fairytale and flora and fauna. 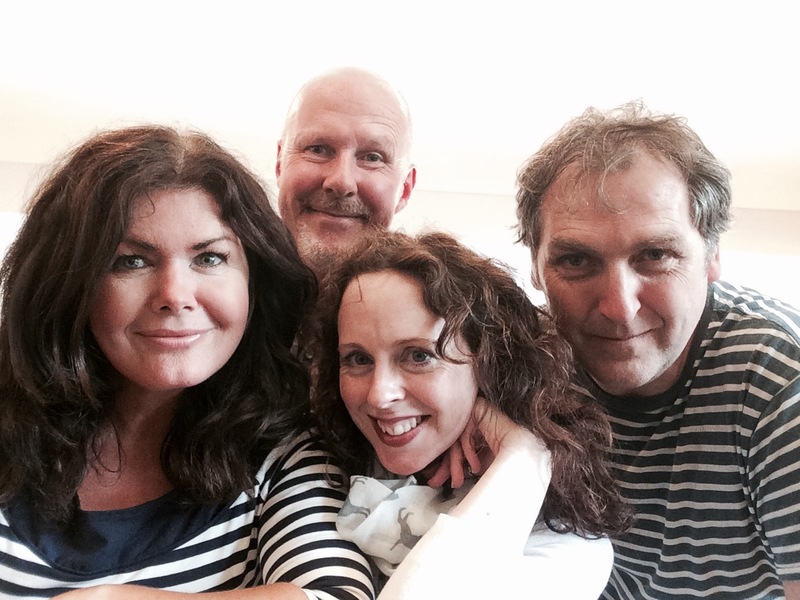 We are Saffron walden based bu we play across the UK, France and Italy and you can find out more at http://www.honeywitch.co.uk Expect pirates, sirens and tales of derring do. 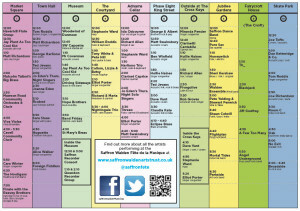 I write songs and play guitar; at the Fête I’ll be playing as a duo with Dan Ketteridge. Inspiration can come from anywhere: a newspaper headline; a snippet of conversation overheard; an incident from my family history. My songs are generally light-hearted, but most have a serious point to make. We are 4 clarinets and our maestro is JASON Merrick. We play an eclectic mix of jazz and classical. We practice together and the enjoy several glasses of red wine….as pictured! 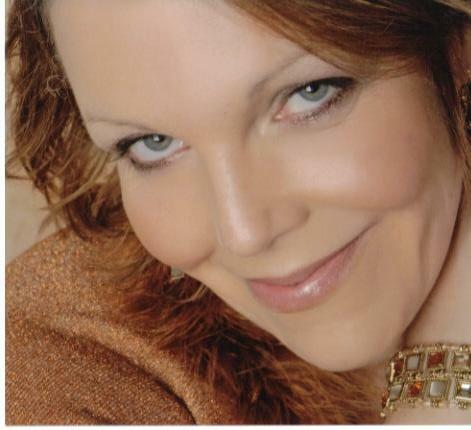 Sara has given many solo recitals and built her oratorio repertoire singing in many of the London halls. She has also performed on the operatic stage appearing with the English National Opera, English Touring Opera and Suffolk Opera as well as enjoying many lighter operatic roles, Gilbert and Sullivan heroines and main lead parts in musicals. Sara has been a musical director and over the last few years also enjoyed directing several stage productions. She recently got to perform in the wonderful acoustic Saffron Hall as part of the Mayors Charity Gala Concert and is very much looking forward to being part of the Fete de la Musique. 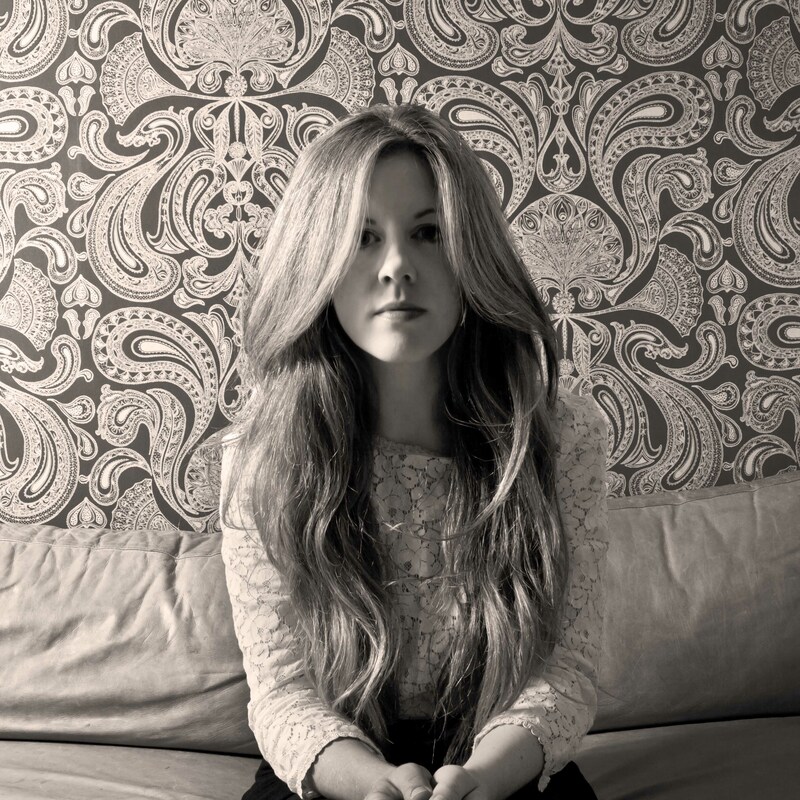 Alice Walker is a singer songwriter from Thaxted. Her songs are about love, and life, and dead things and live things. When she grows up she wants to be a mountain. They’ve actually played in a castle. And with Joan Armatrading. And with Wilko Johnson. and with themselves. Phenomenal Soul Harmonies from 2 of the best voices in Essex! Rising from the ashes of Grupo Tequesta, the top Essex Latin Dance band that headlined Saffron Walden town Square a couple of years back, FiveGOLive formed a year ago, when Top Irish soul singer Paula Archer who has performed all over the world, discovered that one of the Mums she chatted to in the school playground used to sing professionally on the West End stage! Paula and Rhiannon found that as well as sharing a taste for Soul and Funk music, had an almost psychic ability to harmonise spontaneously every time they dueted. 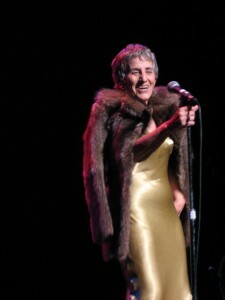 Paula quickly recruited the phenomenal and charismatic keyboard/percussionist Richard Pearce (Think Jules Holland meets a bald Keith Moon) and jazzfunk guitarist Vince Legg from the now sadly disbanded Grupo Tequesto to form a tight powerful quartet playing anything with a good beat from Randy Crawford to Bruno Mars.